November was our last meeting of 2018. We take a break in December, and then we resume with a stellar list of 2019 speakers. 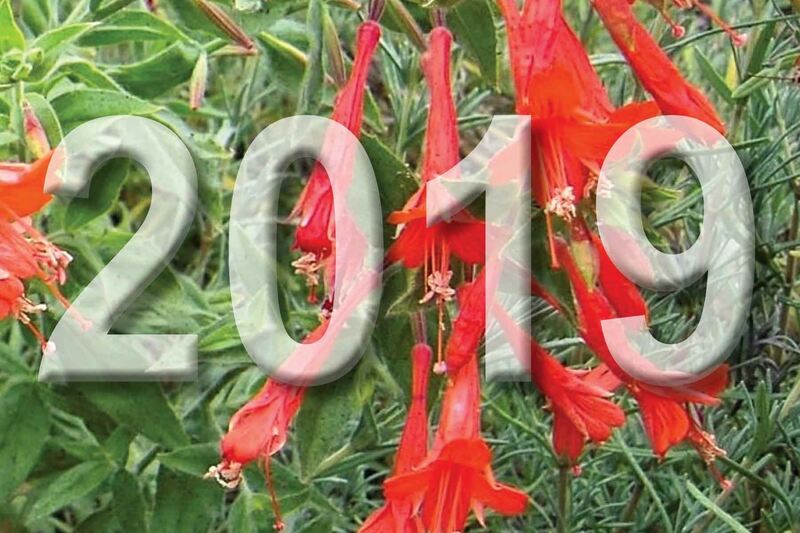 In January, we will hear from Jeff Chemnick, owner of Aloes in Wonderland garden and nursery in Santa Barbara, California. An authority on Mexican cycads who has published numerous articles on the topic, Jeff also leads botanical and ornithological ecotours throughout Mexico. Be sure to join us on January 14 to hear Jeff talk about his travels and the plants he loves. In February, Brie Arthur will describe her signature design technique, Foodscaping. Foodscaping is a sustainable landscape practice that combines beauty and utility by pairing edibles with ornamentals in a traditional landscape. Brie is recognized as a leader in the foodscape movement, as well as for her work with public schools. In March, our speaker will be Chris Woods, former director of the Chanticleer Garden in Philadelphia and now Director of the Mendocino Coast Botanical Gardens and author of Gardenlust: A Botanical Tour of the World’s Best New Gardens. Chris is known for his ability to use common plant material on a large scale to create a tapestry of color, form, and texture. April brings a visit from Mike Evansof Tree of Life Nursery in San Juan Capistrano. TOLN is well-known for its native plant breeding and propagation program. TOLN's goal is to help people appreciate native plants, and Mike will speak to us about their role in our landscapes. Mark your calendars for the second Monday of the month and join us to hear these outstanding horticulturalists, shop local vendors, and make new friends.